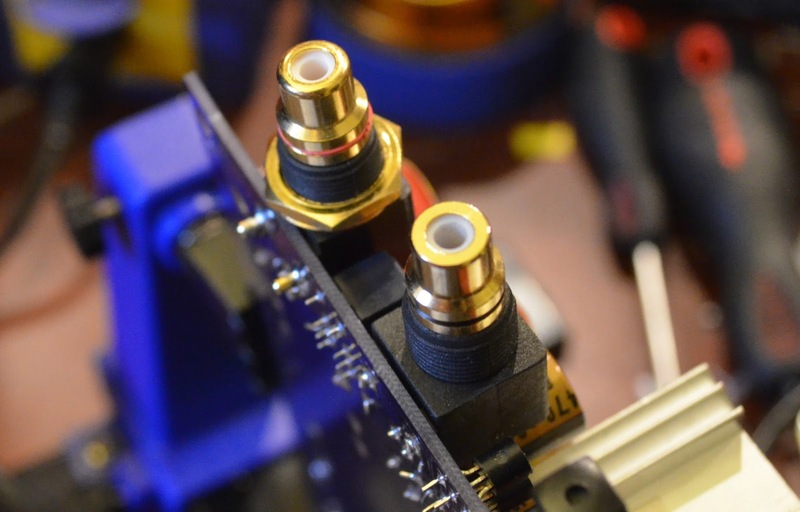 MHDT has a cult following in the DAC world, and for good reason. They may not be featuring all the latest chip designs and 24bit oversampling converters, but new technology doesn't have a direct correlation with better sound. The equipment designed in the 1960s from H.H. Scott, Dynaco, Harmon Kardon, Marantz and McIntosh is still well sought after today for it's excellent sound qualities. Granted if you are a purist and want a straight line response curve, these won't scratch that itch, but if you want to enjoy the music they'll fit the bill perfectly well. The MHDT Havana comes after the venerable Paradisea 3, which is an excellent sounding example of a NOS (non over-sampling) DAC with a tube buffer. Both the Paradisea and the previous Constantine make use of a Philips TDA 1545A DAC chip and come in a handsome translucent dark acrylic. (See the posts covering the modification of the Constantine and the Paradisea.) Unlike the previous two, the Havana uses no op-amp for I/V conversion. 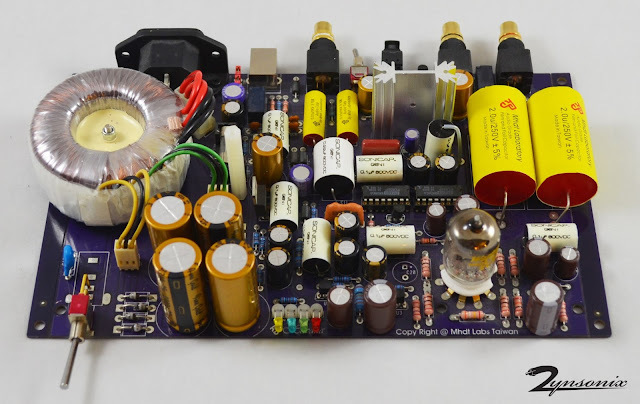 Opamps are often looked down upon as the tasks performed can generally be done better with discrete components. 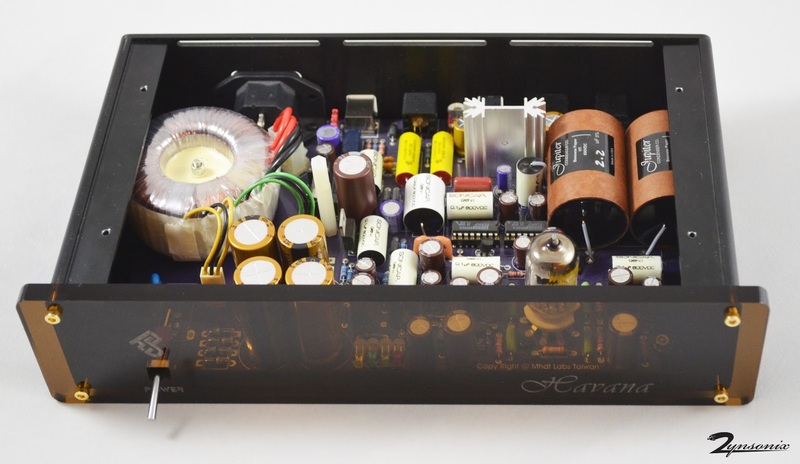 The Havana features a 16 bit R-2R Burr Brown PCM56P DAC, and uses a tube-buffered output stage (GE5670). It's interesting to see the progression of MHDT DACs over the years. 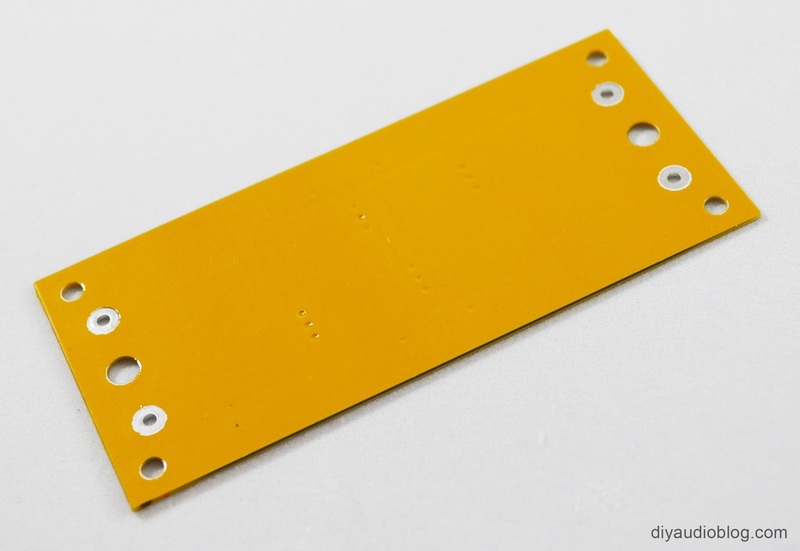 Not only are the op-amps going away, there's more aluminum panels and less acrylic body panels, as well as the utilization of more surface mount components on the PCB. The circuit boards have also become more robust, which is nice when exchanging components. Other components generally stay about the same, from Nichicon Fine Gold electrolytic caps in the power supply, Nichicon Muse caps and Sanyo/Panasonic OS-CON caps elsewhere, as well as MHDT brand film caps which I imagine are sourced in Taiwan. I generally like to replace the Muse caps with Elna Silmic II for a little more warmth, as well as Soniccraft 600v 0.1uf and 0.22uf Sonicaps for the smaller film caps, as Sonicaps are a great value and are small in form factor compared to most other audio capacitors. For the output caps, replacing with the best quality that fits that you can afford is generally the best strategy, as they are directly in the signal path. Below is a partially modified unit. Note the Nichicon FG power supply smoothing caps have been bumped up to 3,300uF (there's plenty of room), most film caps have been replaced, and I had just started installing the Elma Silmic II caps. The RCAs on the unit are perfectly fine, but I was able to source some nice ones with teflon insulation, so I installed those. The unit on the left is the teflon insulated one, it looks a little bit different but fits perfectly. The RCA for the digital coax was replaced with a Vampire BNC (about $13-14). I chose Jupiter HT paper in wax caps for the output. They've served me well in other applications and have a nice natural presentation. I happened to have several Kiwame resistors that I installed in the tube buffer. The Jupiter 2.2uF 600V caps just narrowly fit in the Havana chassis. I tombstoned one of the Sonicaps to ensure there was enough clearance. One thing I found odd was MHDT never grounds their DACs. I understood there wasn't much of a point with an acrylic chassis, but now that they're brushed aluminum, might as well use it as a shield. The electroplating is very thick on the chassis and needs to be sanded away to make contact. I used a Dremel on the metal under each screw and put everything back together, checking for continuity with a multimeter. I had to re-hit a few of the holes but eventually got there. I ran a wire from the ground on the IEC to circuit ground and connected to chassis ground, so now we have a safe and shielded DAC. Everything is sounding very nice so far. The op-amp-less design is a little more forward than the Paradisea (which is very warm and syrupy), but still very natural sounding and makes for an enjoyable listen. When I say forward, I simply mean related to other MHDT DACs. 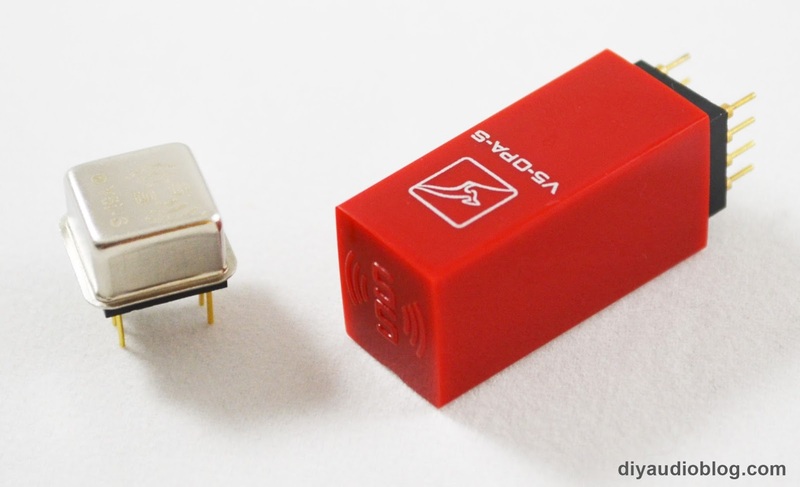 It's still warm compared to 95% of DACs on the market. I still have to let the Jupiters burn-in, which in my experience just takes a couple of nights of audio running through them, but everything will open up once they do. Please remember that modifications can be dangerous to you and/or your surroundings and should only be performed by a certified technician. The owner of this blog and all associated parties can not / will not be held responsible if you attempt a posted modification and cause physical harm to yourself or your surroundings. Many electronics contain high voltages that can kill, and mods, if performed improperly, can be a fire hazard. I've heard many positive impressions from fellow audio enthusiasts regarding LessLoss power conditioning products and have always been curious about how they stack up. The unique construction of the previous Firewall using exotic materials like Panzerholz, a plywood-like bulletproof material with high damping properties, and carbon fiber, had left me very curious. The new Firewall is a much more affordable endeavor, starting as low as $198 for the DIY version, $385 for the USB version and $410 for the power outlet version. As nearly all of my gear is completely DIY, I took a special interest in the DIY version of the Firewall. I've come accustomed to the typical simple resistor/capacitor/inductor networks in discrete filtering circuits (those you commonly find in an audio power conditioner, the filtering IECs that are sometimes installed in DIY tube amps, and other DIY implementations), but have never seen an alternative to these. 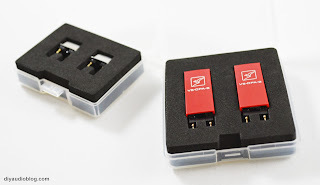 The Firewall DIY module is relatively small, roughly 2" by 4" and has and input and output for L (line/hot) and an input and output for N (neutral). 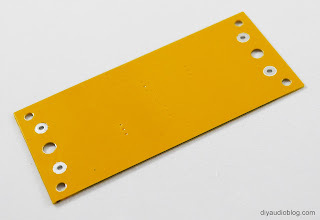 There are unique ripples/patterns in the surface of the solder mask which cover the copper underneath. Per the instructions, The Firewall units can handle up to 1000VDC and can be stacked and/or run in series to increase the level of the filtering. 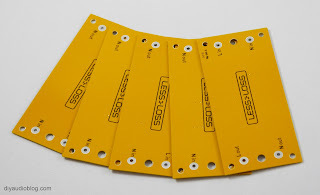 Kapton tape or discs is recommended to prevent the inputs and outputs from shorting. There have been tests of up to four parallel stacks of eleven boards if you want to go super crazy ;) Do note that "LessLoss will not be held responsible for the fate of your equipment or health or other personal property should you choose to use our product in your own designs", so stick with the off-the-shelf units unless you know what you're doing. 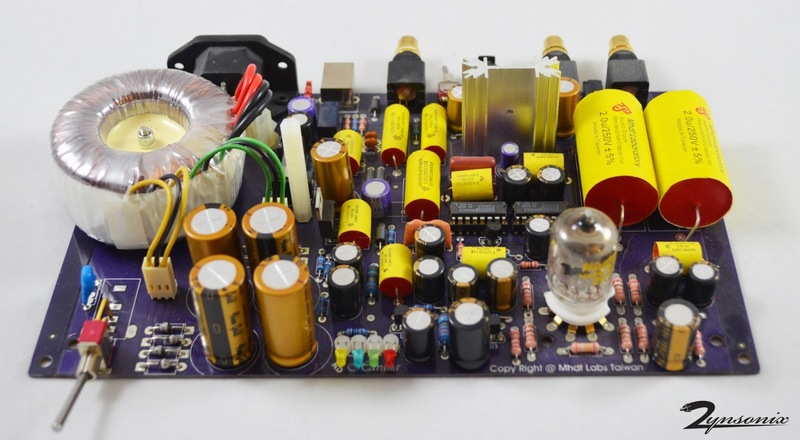 Op-amps, or operational amplifiers, are ubiquitous in solid state amplifiers. These little integrated chips are simple little building blocks designed to work in a wide range of electronics such as PCs and other devices. 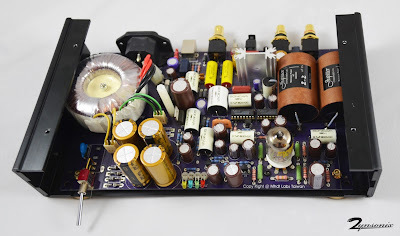 For those of you not familiar, op-amps are like vacuum tubes for the solid state world. Most manufacturers use sockets so the op-amps can be swapped, and each have a difference sound signature (e.g. warm, revealing, etc.). Some have voltage requirements that make them only compatible in certain designs, etc. Some are affordable (the LM4562 which runs less than $1), and some are expensive like the popular $25 Burr Brown OPA627. 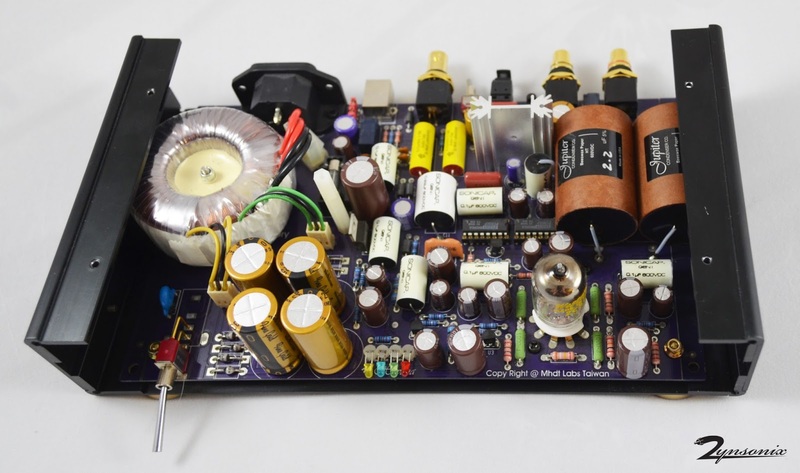 Burson Audio is a company on a very short list of providers of discrete op-amps. 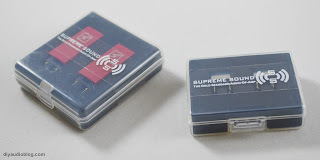 Rather than having a bunch of teeny tiny components shoe-horned in a chip the size of a fingernail, Burson creates devices that plug into op-amp sockets that use a fully discrete set of diodes, resistors, etc. 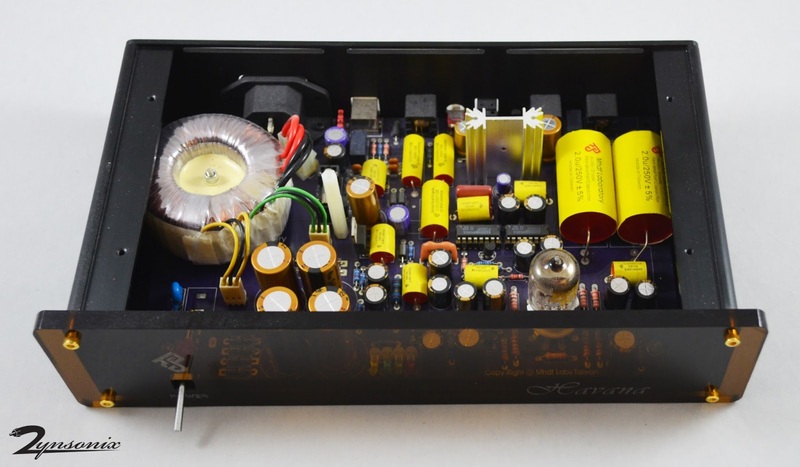 I remember my first purchase of several of their discrete op-amps roughly six years ago, trying to breath some additional life into a Music Hall DAC. While their first iterations weren't super easy to install, they made a world of difference in the sound department. Everything was much more natural and effortless sounding than the stock op-amps which I believe were mid-grade models from Texas Instruments. Fast forward to today and we have the Supreme Sound V5 and V5i Opamps. 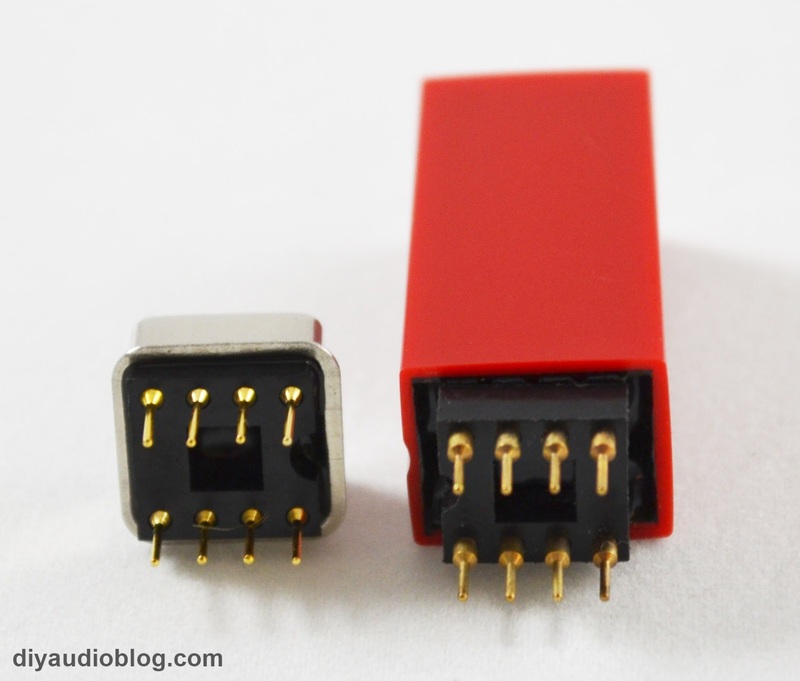 The V5 features fully discrete components including 0.5% tolerance metal film TKD resistors, hand-matched FET transistors, and a sleek looking red cover. Installing them in a unit that is not compatible could cause undue stress on the components / oscillation, etc.